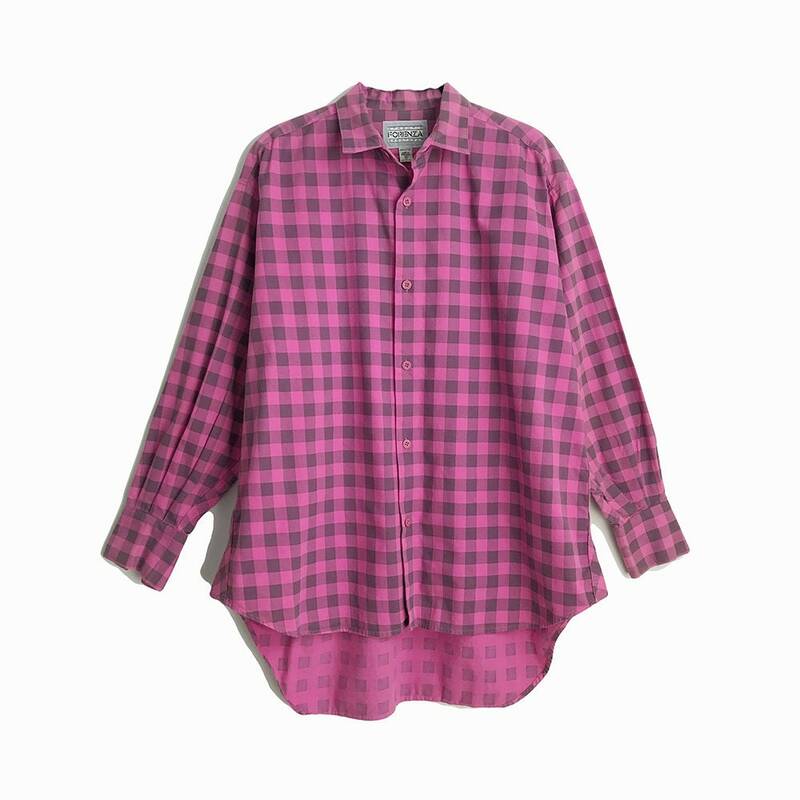 a vintage check plaid boyfriend shirt in pink & gray. 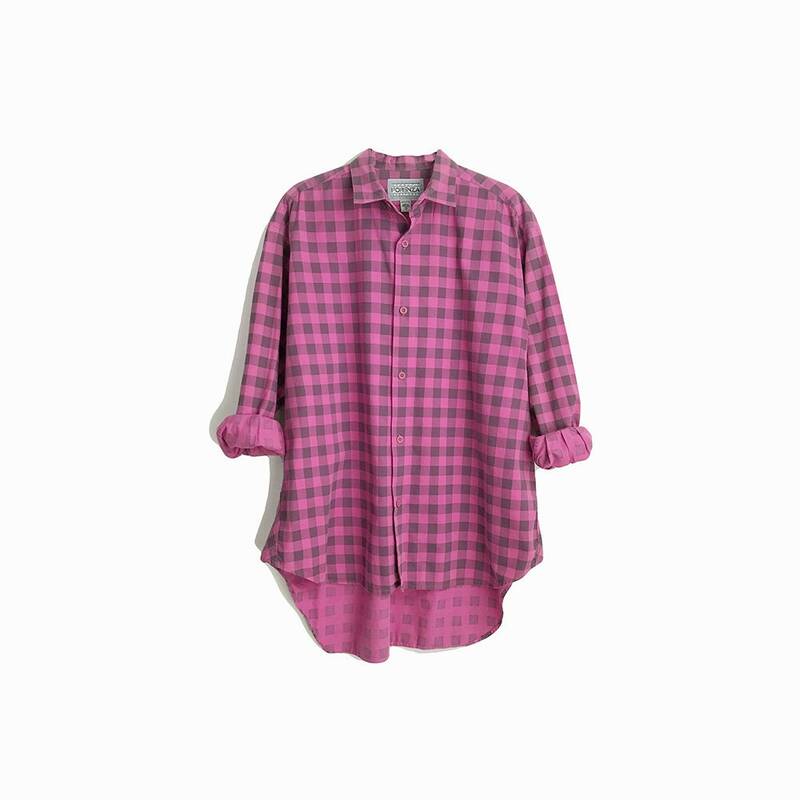 relaxed, oversize fit. collared, button front. reinforced shoulder panel. 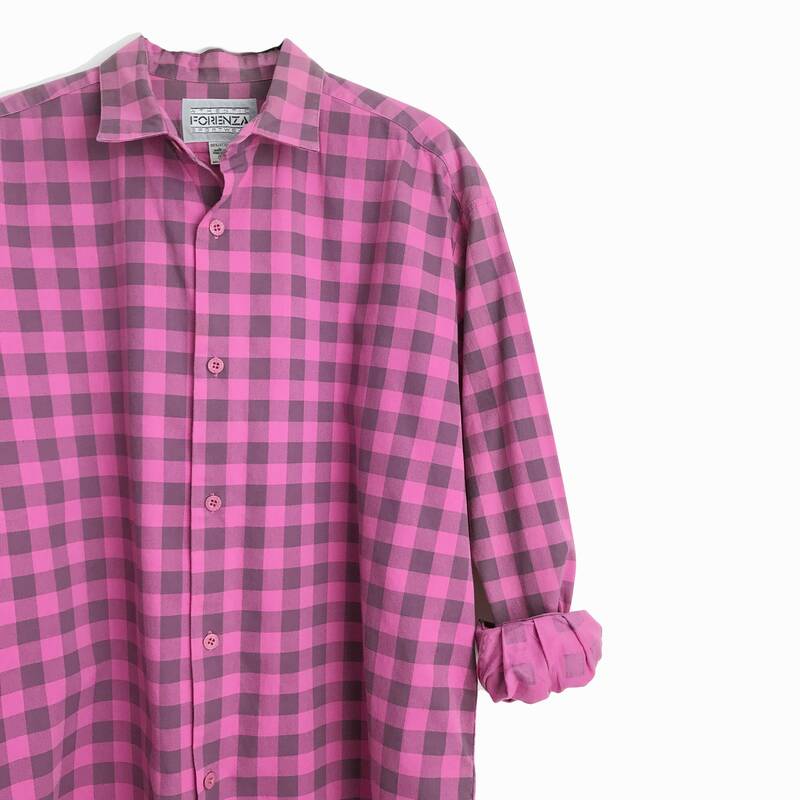 long sleeves with button cuffs. 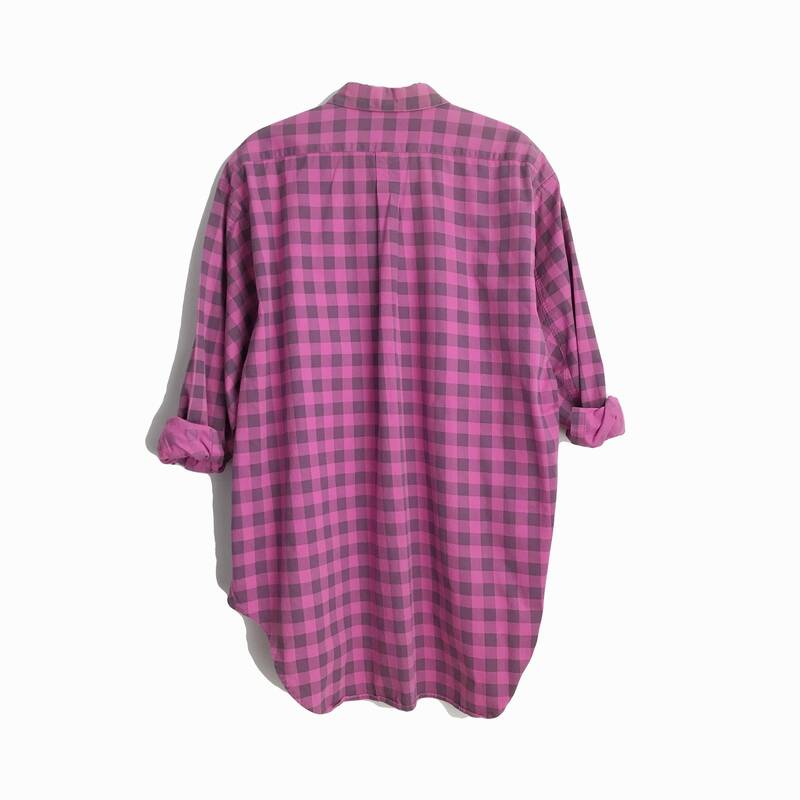 shirt tail hemline. box pleat at center back shoulder. medium gauge cotton (not to light, not to heavy). center back neckline to bottom hem: 27-32"
CONDITION / very good used condition - gently worn with a hint of vintage fading. no other noted flaws.